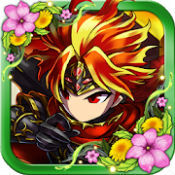 Brave Frontier v1.17.0.0 Mod apk for Android. Rise up to the challenge and take on the role of powerful Summoners in this addictive, free-to-play classic JRPG hit title! Summon more than 400 legendary heroes, mighty demigods and majestic beasts and lead your squads to strategic victories against the Four Fallen Gods as you venture through the mythical lands of Grand Gaia and beyond! * Gather / enjoy the spoils of your adventure / battles and lay claim to special Heroes and rare items! * Uncover compelling story arcs and legendary sagas of heroes and gods. The plot is thickening as their fates are intertwined! Will you rise to the challenge and go down in Grand Gaia history as a legend? Join forces with millions of Summoners on your most epic journey yet! Root required? No, works on both rooted and unroot Android devices. If you previously downloaded and installed the game from play store, you need to backup all your data, then uninstall your playstore version, then download and install our mods. If you have always been using our mods but need to install a newer version mod? Simply just download and install the new mods, they will overwrite the old one, and your data will be remained. You don’t need to uninstall the old one to install the newer one(s). All mods have same signature from us, they will overwrite each other. Enjoy! 1) Max number of items reached. There are 2 situations for this. One is when you are trying to proceed with quest or vortex, when you try to proceed system will prompt you with this msg, simply unequip all your items and you are good to go. Another is when you try to receive items from the present box or redeem anything from the exchange hall. That is because your default item storage is 100 and the item mod is just there to let you continue auto questing without the system realize you have more items than your default storage and prompts you to sell/expand before you can continue. To solve this simply sell your items or synthesize or etc to reduce your item to 99 slots or less, note that when you are using item mod you will not be able to expand storage. So install a normal apk (posted above) and gem to expand, this is the only way I know of. Unless you can keep your items to 100 or less at all times. Simply disable/uninstall your Facebook App on your mobile and then connect your account through in game settings. The game will then prompt you to log in Facebook using your browser, and voila you should be able to link your account and will no longer to lose your account (unless they ban you of course). You need to connect to WIFI to avoid connection error. Everything from v3 but HP=0=dead,auto win version. I updated the v1.10.21.0 mods at the coffee shop, the wifi here is awfully slow, so I didn’t have a chance to test them all out. Feedback is welcome. Fixed crashes on v3 – v3f. FYI, the hack still work on this new version 1.11.10 the coding is the same. Whatever but please hurry up, I’m waiting patiently. Oops, my page must have been bugged. Once I refreshed 1.11.10.0 was there. Any good news yet? Ihackedit!!! Seems they’ve done sth so that no apk can work except the one from the play store i guess. I’ve tried from different sites and none of it, including yours, work. It keeps on sayong theres a new version on the play store. Sorry if you’re already aware of tje situation otherwise glad i could help a bit. Yeah, i tried too. I guess we’ll just have to play vanilla for now. Ihackedit team, this game version is super wrong, the right version is “v1.11.10.0”, seriously, why is everyone hasn’t noticed any of this yet. Know I can’t even log into the original mod apk😣 worked for awhile. Sends me to play store to update.